In a joint decision, CBS and Halle Berry have decided to pull the plug on Extant. Despite a pretty major overhaul going into Extant Season 2, the series was still not able to sustain ratings even close to its first season. Despite that, discussions to retain the show continued because of CBS' desire to retain the star power of Oscar-winning actress Halle Berry. It looks like they've found a way to make everyone happy, as she'll be producing a new drama for the network. "I am so proud of what we accomplished on Extant," said Berry. "This season seemed such a natural place to end Molly’s journey that I, along with CBS, felt it best served the story to leave it there. ‎It was my first foray into episodic television, and I’m excited to continue my relationship with CBS, producing more compelling stories through my 606 Films production banner." CBS is developing a new dramatic series, Legalese, on which Berry will executive produce. The series will follow a biracial lawyer as she follows a case from Chicago to New Orleans, where she will find herself in partnership with a good ol' white boy working for a very particular justice system that will expose the biases that we all have. I don't know what's going on with you, but you better get used to it because that kid is the closest we're ever going to become to being parents. Well you know what? I think we always end up where we're supposed to. Permalink: Well you know what? I think we always end up where we're supposed to. 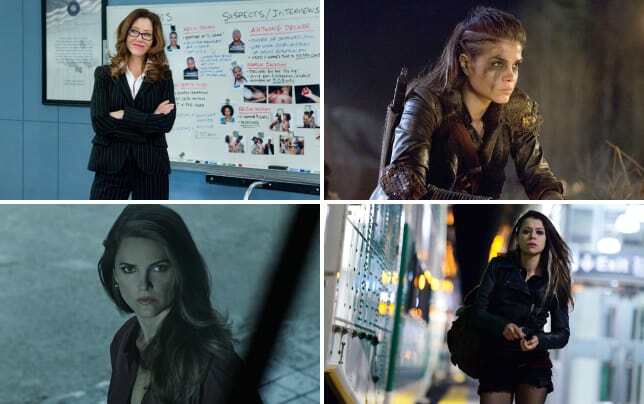 2015 Summer TV Awards: Mr. Robot Rules All!